Everything you have to know before setting up preschool in the form of videos, audio, Powerpoint and documentation. Ankur is the first step to make your dream project come true. 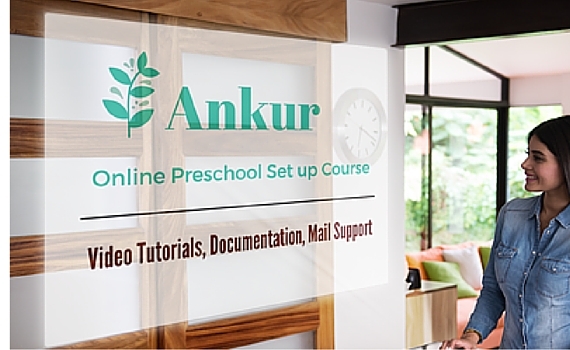 Ankur gives you step by step guidance on various aspects of setting up preschool and connects you with service providers. Operation Manual can be downloaded which will help you run your preschool. The Ankur program has been designed by academicians with 40+ years cumulative experience in early childhood education and care. They have taken utmost care to give you the right information in the right context. For any more queries, they are available to offer Free E-mail support. Ankur is the fastest and most affordable way to start your preschool. So Grab this opportunity and buy Ankur program.